There is no stopping the clock from ticking! All of us will eventually grow old and need extra care. When a person reaches old age, they will surely need the assistance of the younger people around them. These younger people become that person’s caregivers. 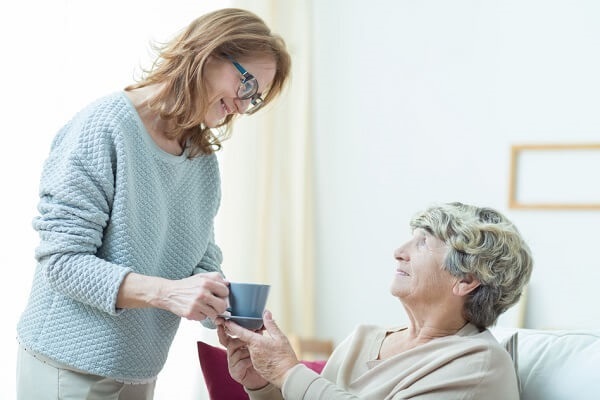 While a big part of caregiving is actually taking care of such mundane tasks as bathing and feeding, there are still other life domains where the senior might need some help. In this article, we discuss some of the possible legal battles that a caregiver might face on behalf of the person that they are in care of. If you have a senior under your care, then you should read on. Just to be clear, not all seniors need any form of extra caregiving. Many people reach the age of 80 and higher while still active both in mind and body. But there are those who go senile or become unable to take care of themselves in many areas of life quite early. For such people, there is a need to identify a rightful guardian. It will be best if the senior chooses their guardian and puts it on paper even before they lose their mental capacities. This way, the designated guardian automatically takes over the moment the person becomes incompetent. There is going to be a serious legal problem if the senior loses competence even before their legal guardian is formally identified. The potential caregivers, usually the children and other younger relatives, will have to present themselves to the courts and make a convincing presentation as to why they should be awarded guardianship. The process can be lengthy, but it can be made bearable with the assistance of the right legal counsel. The guardian can decide what type of care will be best for the senior that they have legal responsibility over. Many guardians choose to send the elderly to a nursing home, especially if they themselves have families to raise or demanding jobs to take care of. The decision to get the services of a nursing home is good one. There, the senior will be under the watchful eye of able professionals who are trained specifically for the care of the elderly. However, there have been reports of some people who are physically abused in a nursing home. If this happens to the senior under your care, you need to fight for their rights and sue the culprit. The process will surely be arduous, but with the right legal assistance, you can emerge victorious in the end. If the senior has real estate under their name, these properties will legally need an administrator. Usually, the person designated as the guardian also becomes the administrator of the estate. But there are instances wherein the two roles are taken on by two different people. The best case scenario for this is when the senior in question creates a last will and testament that clearly lays out what will happen to their estate should they lose the capacity to manage it themselves. Without a will, interested family members can just discuss amongst themselves or go to the court for a fair distribution. Especially when there is dispute, the process for this can be very lengthy and draining both financially and emotionally.